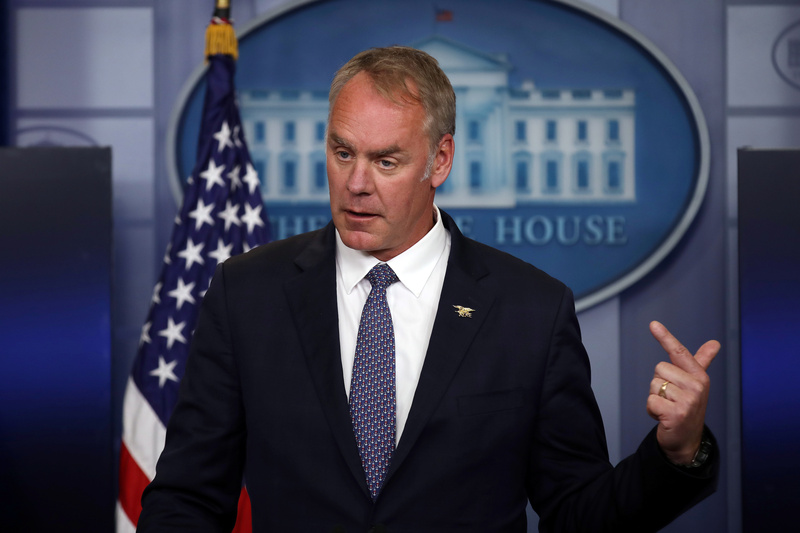 President Donald Trump defended Interior Secretary Ryan Zinke Monday as accusations of ethical misconduct surround Trump’s chief federal land manager. Before taking off on a three-state rally blitz before midterm elections, Trump fielded questions from reporters on his stance on Zinke. “Well, I think he’s done a very good job. I do think he’s done a very good job,” Trump said moments before taking off on Air Force One. At the time the probe was referred to the DOJ, the IG had two open investigations into Zinke. One involved a Montana land deal between Zinke and former Halliburton chairman David Lesar. The other is looking into possible political motivations behind the DOI denying two Native American tribes approval to build a proposed casino off reservation land. The IG has launched at least a dozen probes into Zinke’s conduct since he began his tenure at the DOI, The New York Times reports.